One travelling to Paro, the business capital of Bhutan cannot miss the majestic fortress of Rinpung Dzong. Dzong is essentially a translation for Buddhist monastery and Rinpung means heap of jewel. The conjoint meaning of a jewelled fortress is not very far off from reality. It is indeed one of the most beautiful structures in Bhutan. 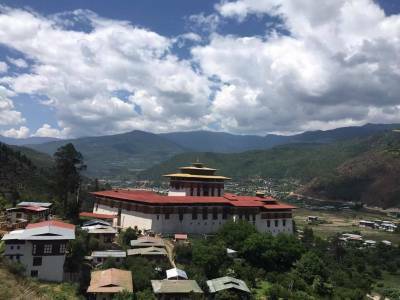 No wonder the government has made it their administrative headquarters and also as the house of monastic body for the district of Paro Dzongkhag. 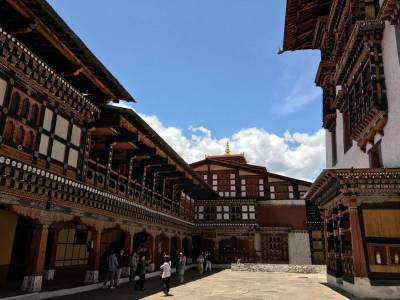 The sheer size, look and architecture of the fortress monastery have made it a tentative site of World Heritage in Bhutan in the list of UNESCO World Heritage Sites. The Rinpung monastery was one of the first of its kind in Bhutan. This palace has been a seat of Buddhism in the country and also a seat of power since the 15th century CE. 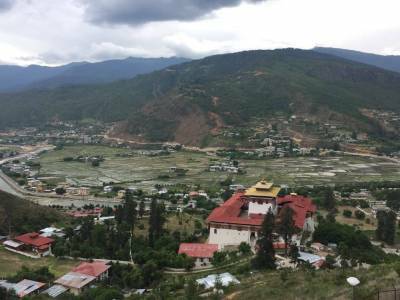 History states that in the beginning it was a small crag offered by the locals to the sage Lama Drung Drung Gyal who made a five storey temple and shrine at this place to preach the teachings of Buddha and make it a sacred establishment for Buddhists. Later in duration of time the descendents of the Lama of Hungrel bestowed this monastery to the monarch of the Drupka Lineage for his patronage towards Buddhist belief. The man was called Zhabdrung Rinpoche, aka Ngawang Nmagyal, rebuilt this temple to the fortress we see today. The construction of the fortress monastery was done in many layers due to numerous rebuilding works thanks to manmade and natural calamities. The pagoda structured complex houses as many as 14 chapels and shrines. The fortress is truly a majestic sight to behold. 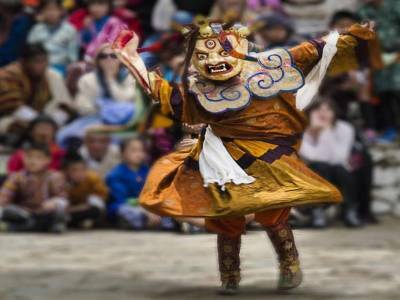 Paro tourism is greatly influenced by Rinpung Dzong and the weeklong Tsheche religious festival is the main attraction where people celebrate with pomp and glamour of the ethnic culture. 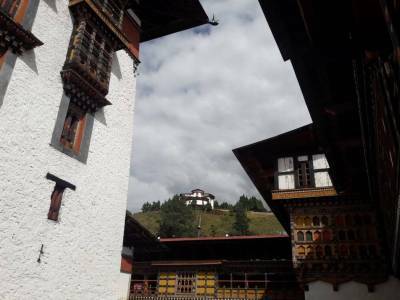 Being the only airport city in Bhutan the travelling worries to Paro goes down to nil for the tourists. Get quick answers from travelers who visit to Rinpung Dzong.